Kerzhner, M., Matsuoka, H., Wübben, C., Famulok, M. and Schiemann, O. High-Yield Spin Labeling of Long RNAs for Electron Paramagnetic Resonance Spectroscopy. Valero, J., Pal, N., Dhakal, S., Walter, NG. and Famulok, M.
A bio-hybrid DNA rotor-stator nanoengine that moves along predefined tracks. Domenyuk, V., Gatalica, Z., Santhanam, R., Wei, X., Stark, A., Kennedy, P., Toussaint, B., Levenberg, S., Wang, J., Xiao, N., Greil, R., Rinnerthaler, G., Gampenrieder, SP., Heimberger, AB., Berry, DA., Barker, A., Quackenbush, J., Marshall, JL., Poste, G., Vacirca, JL., Vidal, GA., Schwartzberg, LS., Halbert, DD., Voss, A., Magee, D., Miglarese, MR., Famulok, M., Mayer, G. and Spetzler, D.
Poly-ligand profiling differentiates trastuzumab-treated breast cancer patients according to their outcomes. Prusty, DK., Adam, V., Zadegan, RM., Irsen, S. and Famulok, M.
Supramolecular aptamer nano-constructs for receptor-mediated targeting and light-triggered release of chemotherapeutics into cancer cells. Adam, V., Prusty, DK., Centola, M., Skugor, M., Hannam, JS., Valero, J., Klöckner, B. and Famulok, M.
Expanding the Tollbox of Photoswitches for DNA Nanotechnology Using Arylazopyrazoles. Centola, M., Valero, J. and Famulok, M.
Allosteric Control of Oxidative Catalysis by a DNA Rotaxane Nanostructure. Yin, DM., Hannam, JS., Schmitz, A., Schiemann, O., Hagelücken, G. and Famulok, M.
Studying the Conformation of a Receptor Tyrosine Kinase in Solution by Inhibitor-Based Spin. Valero, J., Lohmann, F. and Famulok, M.
Interlocked DNA topologies for nanotechnology. Domenyuk, V., Zhong, Z., Stark, A., Xiao, N., O'Neill, HA., Wei, X., Wang, J., Tinder, TT., Tonapi, S., Duncan, J., Hornung, T., Hunter, A., Miglarese, MR., Schorr, J., Halbert, DD., Quackenbush, J., Poste, G., Berry, DA., Mayer, G., Famulok, M. and Spetzler, D.
Plasma Exosome Profiling of Cancer Patiens by a Next Generation Systems Biology Approach. Kerzhner, M., Abdullin, D, Wiecek, J., Matsuoka, H., Hagenlücken, G., Schiemann, O. and Famulok, M.
Post-synthetic Spin-Labeling of RNA through Click Chemistry for PELDOR Measurements. Weigandt, J., Chung, C. L., Jester, S. S., and Famulok, M.
Daisy Chain Rotaxanes Made from Interlocked DNA Nanostructures. Angew. Chem. Int. Ed.2016, doi: 10.1002/anie.201601042. Valero, J., Lohmann, F., Keppner, D., and Famulok, M.
Single-stranded tile stoppers for interlocked DNA architectures. Lu, C. H., Cecconello, A., Qi, X. J., Wu, N., Jester, S. S., Famulok, M., Matthies, M., Schmidt, T. L., and Willner, I.
Switchable Reconfiguration of a Seven-Ring Interlocked DNA Catenane Nanostructure. Zhai, J., Zhang, L., Mojsilovic-Petrovic, J., Jian, X., Thomas, J., Homma, K., Schmitz, A., Famulok, M., Ichijo, H., Argon, Y., Randazzo, P. A., and Kalb, R. G.
Inhibition of Cytohesins Protects against Genetic Models of Motor Neuron Disease. J. Neurosci. 2015, 35, 9088-9105. Lentz, C. S., Sattler, J. M., Fendler, M., Gottwalt, S., Halls, V. S., Strassel, S., Arriens, S., Hannam, J. S., Specht, S., Famulok, M., Mueller, A. K., Hoerauf, A., and Pfarr, K. M.
In vitro activity of wALADin-benzimidazoles against different life-cycle stages of Plasmodium parasites. Antimicrob. Agents Chemother. 2015, 59, 654-658. Li, T., Lohmann, F., and Famulok, M.
Interlocked DNA nanostructures controlled by a reversible logic circuit. Mayer, G. and Famulok, M.
Aptamer and SELEX in Chemistry & Biology. Lohmann, F., Weigandt, J., Valero, J., and Famulok, M.
Logic gating by macrocycle displacement using a double-stranded DNA rotaxane shuttle. 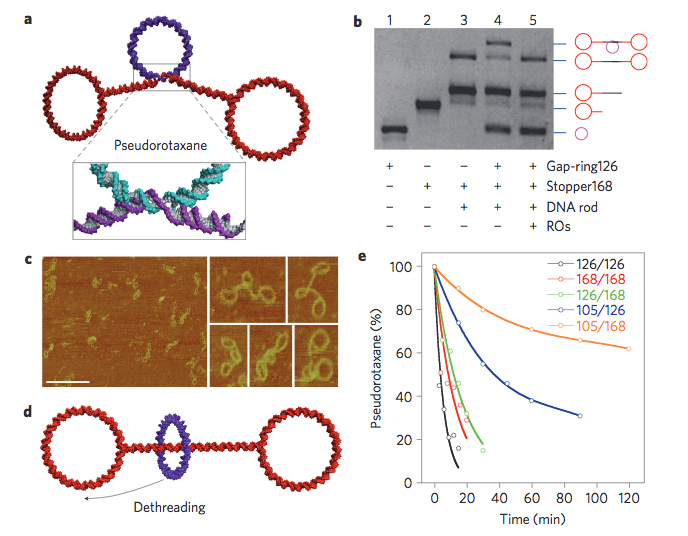 Lu, C. H., Qi, X. J., Cecconello, A., Jester, S. S., Famulok, M., and Willner, I.
Switchable reconfiguration of an interlocked DNA olympiadane nanostructure. Lohmann, F., Valero, J., and Famulok, M.
A novel family of structurally stable double stranded DNA catenanes. Jester, SS. and Famulok, M.
Mechanically interlocked DNA nanostructures for functional devices. Acc. Chem. Res.. 2014, 47:1700-9, doi:10.1021/ar400321h. Lentz, C. S., Halls, V. S., Hannam, J. S., Strassel, S., Lawrence, S. H., Jaffe, E. K., Famulok, M., Hoerauf, A., and Pfarr, K. M.
wALADin benzimidazoles differentially modulate the function of porphobilinogen synthase orthologs. Hussein, M., Bettio, M., Schmitz, A., Hannam, J.S., Theis, J., Mayer, G., Dosa, S., Gütschow, M., and Famulok, M.
Cyplecksins are covalent inhibitors of the pleckstrin homology domain of cytohesin. Niebel, B., Wosnitza, C., and Famulok, M.
RNA-aptamers that modulate the RhoGEF activity of Tiam1. A selective inhibitor of heme biosynthesis in endosymbiotic bacteria elicits antifilarial activity in vitro. Li, T., and Famulok, M.
I-motif-programmed functionalization of DNA nanocircles. Ackermann, D., and Famulok, M.
Pseudo-complementary PNA actuators as reversible switches in dynamic DNA nanotechnology. Vinkenborg, J. L., Mayer, G., and Famulok, M.
Aptamer-based affinity labeling of proteins. Bill, A., Schmitz, A., König, K., Heukamp, L. C., Hannam, J. S., and Famulok, M.
Anti-proliferative effect of cytohesin inhibition in gefitinib-resistant lung cancer cells. Lohmann, F., Ackermann, D., and Famulok, M.
Reversible light switch for macrocycle mobility in a DNA rotaxane. Ackermann, D., Jester, S. S., and Famulok, M.
Design strategy for DNA rotaxanes with a mechanically reinforced PX100 axle. Angew. Chem. Int. Ed. 2012, 51, 6771-6775. Hons, M., Niebel, B., Karnowski, N., Weiche, B., and Famulok, M.
Pan-selective aptamers for the family of small GTPases. Li, J., Malaby, A. W., Famulok, M., Sabe, H., Lambright, D. G., Hsu, V. W.
Grp1 plays a key role in linking insulin signaling to glut4 recycling. Li, T., Ackermann, D., Hall, A. M., and Famulok, M.
Input-dependent induction of oligonucleotide structural motifs for performing molecular logic. Rohrbach, F., Karadeniz, H., Erdem, A., Famulok, M., and Mayer, G.
Label-free impedimetric aptasensor for lysozyme detection based on carbon nanotube-modified screen-printed electrodes. Albertoni, B., Hannam, J. S., Ackermann, D., Schmitz, A., and Famulok, M.
A trifluoromethylphenyl diazirine-based SecinH3 photoaffinity probe. Miao, B., Skidan, I., Yang, J., You, Z., Fu, X., Famulok, M., Schaffhausen, B., Torchilin, V., Yuan, J., and Degterev, A.
Inhibition of cell migration by PITENINs: the role of ARF6. Beyer, M., Thabet, Y., Müller, R. U., Sadlon, T., Classen, S., Lahl, K., Basu, S., Zhou, X., Bailey-Bucktrout, S. L., Krebs, W., Schönfeld, E. A., Böttcher, J., Golovina, T., Mayer, C. T., Hofmann, A., Sommer, D., Debey-Pascher, S., Endl, E., Limmer, A., Hippen, K. L., Blazar, B. R., Balderas, R., Quast, T., Waha, A., Mayer, G., Famulok, M., Knolle, P. A., Wickenhauser, C., Kolanus, W., Schermer, B., Bluestone, J. A., Barry, S. C., Sparwasser, T., Riley, J. L., and Schultze, J. L.
Repression of the genome organizer SATB1 in regulatory T cells is required for suppressive function and inhibition of effector differentiation. Niebel, B., Weiche, B., Mueller, A. L., Li, D. Y., Karnowski, N., and Famulok, M.
A luminescent oxygen channeling biosensor that measures small GTPase activation. Bill, A., Blockus, H., Stumpfe, D., Bajorath, J., Schmitz, A., and Famulok, M.
A homogeneous fluorescence resonance energy transfer system for monitoring the activation of a protein switch in real time. Mayer, G., Ahmed, M-S. L., Dolf, A., Endl, E., Knolle, P. A., and Famulok, M.
Fluorescence-activated cell sorting for aptamer SELEX with cell mixtures. Targeting multifunctional proteins by virtual screening: structurally diverse cytohesin inhibitors with differentiated biological functions. Niebel, B., Lentz, C., Pofahl, M., Mayer, G., Hoerauf, A., Pfarr, K. M., and Famulok, M.
ADLOC – an aptamer-displacement assay based on luminescent oxygen channeling. An aptamer targeting the apical-loop domain modulates pri-miRNA processing. 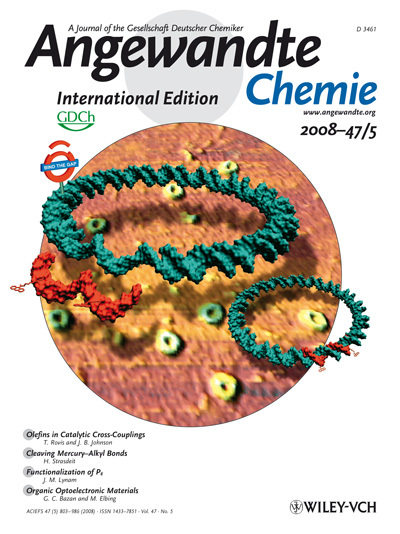 Ackermann, D., Rasched, G., Verma, S., Schmidt, T. L., Heckel, A., and Famulok, M.
Assembly of dsDNA nanocircles into dimeric and oligomeric aggregates. Ackermann, D., Schmidt, T. L., Hannam, J. S., Purohit, C. S., Heckel, A., and Famulok, M.
Klotz, L., Burgdorf, S., Dani, I., Saijo, K., Flossdorf, J., Hucke, S., Alferink, J., Novak, N., Beyer, M., Mayer, G., Langhans, B., Klockgether, T., Waisman, A., Eberl, G., Schultze, J., Famulok, M., Kolanus, W., Glass, C., Kurts, C., and Knolle, P. A. The nuclear receptor PPARg selectively controls TH17 differentiation in a T cell-intrinsic fashion and suppresses CNS autoimmunity. Jones, C. A., Nishiya, N., London, N. R., Zhu, W., Sorensen, L. K., Chan, A., Lim, C. J., Chen, H., Zhang, Q., Schultz, P. G., Hayallah, A. M., Thomas, K. R., Famulok, M., Zhang, K., Ginsberg, M. H., and Li, D. Y.
Slit2-Robo4 signaling promotes vascular stability by blocking Arf6 activity. Gronewold, T. M. A., Baumgartner, A., Hierer, J., Huber, C., Blind, M., Schäfer, F., Blümer, J., Tillmann, T., Kiwitz, A., Zabe-Kühn, M., Quandt, E., and Famulok, M.
Kinetic binding analysis of aptamers targeting HIV-1 proteins by a combination of a microbalance array and mass spectrometry (MAMS). Beyer, M., Karbach, J., Mallmann, M. R., Zander, T., Eggle, D., Classen, S., Debey-Pascher, S., Famulok, M., Jäger, E., and Schultze, J. L.
Cancer vaccine enhanced, non-tomour-reactive CD8(+) T cells exhibit a distinct molecular program associated with ‘division arrest anergy’. Erdem, A. *, Karadeniz, H., Mayer, G., Famulok, M.*, and Caliskan, A.
Electrochemical sensing of aptamer-protein interactions using magnetic particle assay and single-use sensor technology. Bi, X., Schmitz, A., Hayallah, A. M., Song, J.-N., and Famulok, M.
Affinity-based labelling of cytohesins with a bifunctional SecinH3 photoaffinity probe. Fusz, S., Srivatsan, S. G., Ackermann, D., and Famulok, M.
Photocleavable initiator nucleotide substrates for an aldolase ribozyme. Raddatz, M. S., Dolf, A., Endl, E., Knolle, P., Famulok, M., and Mayer, G.
Enrichment of cell-targeting and population-specific aptamers by fluorescence-activated cell sorting. Hafner, M., Vianini, E., Albertoni, B., Marchetti, L., Grüne, I., Gloeckner, C., and Famulok, M.
Displacement of protein-bound aptamers with small molecules screened by fluorescence polarization. Mayer, G., Ackermann, D., Kuhn, N., and Famulok, M.
Construction of DNA architectures with RNA hairpins. Rasched, G., Ackermann, D., Schmidt, T. L., Broekmann, P., Heckel, A., and Famulok, M.
DNA minicircles with gaps for versatile functionalization. Rentmeister, A., Mayer, G., Kuhn, N., and Famulok, M.
Secondary structures and functional requirements for thiM riboswitches from Desulfovibrio vulgaris, Erwinia carotovora and Rhodobacter spheroides. Yamazaki, S., Tan, L., Mayer, G., Hartig, J. S., Song, J.-N., Reuter, S., Restle, T., Laufer, S. D., Grohmann, D., Kräusslich, H.-G., Bajorath, J., and Famulok, M.
Aptamer displacement identifies alternative small-molecule target sites that escape viral resistance. Preview on Yamazaki et al. 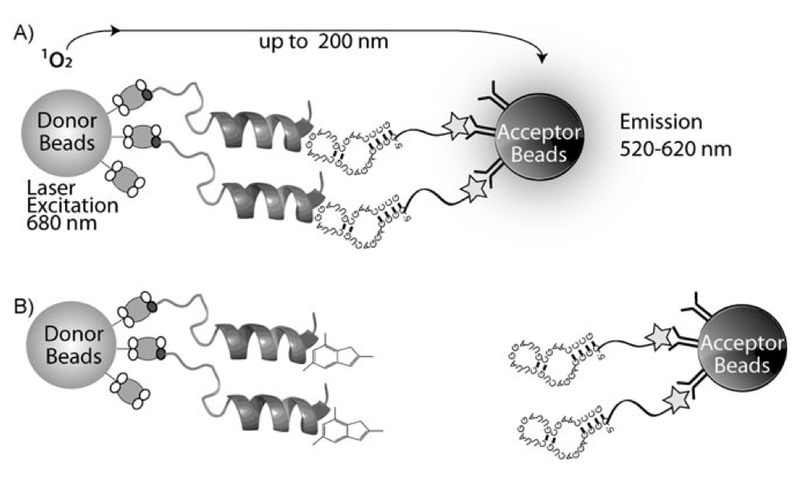 by Fowler, C. C., and Li, Y.
Aptamers and small molecules play tug of war. Thiamine-pyrophosphate induced conformational changes in the expression domain of the thiM riboswitch. Knieps, M., Herrmann, S., Lehmann, C., Löer, B., Hoch, M., and Famulok, M.
Anti-innexin 2 aptamers specifically inhibit the heterologous interaction of the innexin 2 and innexin 3 carboxyl-termini in vitro. Schmidt, T. L., Nandi, C. K., Rasched, G., Parui, P. P., Brutschy, B., Famulok, M., and Heckel, A.
Polyamide struts for DNA architectures. Mayer, G., Raddatz, M.-S., Grunwald, J. D., and Famulok, M.
RNA ligands that distinguish metabolite-induced conformations in the TPP riboswitch. Najafi-Shoushtari, S. H., and Famulok, M.
DNA aptamer-mediated regulation of the hairpin ribozyme by human α-thrombin. Wahle, T., Sastre, M., Thal, D. R., Rentmeister, A., Bogdanovic, N., Famulok, M., Heneka, M. T., and Walter, J.
GGA1 is expressed in the human brain and affects the generation of amyloid beta-peptide. Hafner, M., Schmitz, A., Grüne, I., Srivatsan, S. G., Paul, B., Kolanus, W., Quast, T., Kremmer, E., Bauer I., and Famulok, M.
Inhibition of cytohesins by SecinH3 leads to hepatic insulin resistance. News and Views on Hafner et al. by Jackson, C. L.
Diabetes: Kicking off the insulin cascade. Rentmeister, A., Bill, A., Wahle, T., Walter, J., and Famulok, M.
RNA aptamers selectively modulate protein recruitment to the cytoplasmic domain of ß-secretase BACE1 in vitro. Gronewold, T., Baumgartner, A., Quandt, E., and Famulok, M.
Discrimination of single mutations in cancer-related gene fragments with a surface acoustic wave sensor. Lehmann, C., Lechner, H., Löer, B., Knieps, M., Herrmann, S., Famulok, M., Bauer, R. and Hoch, M.
Heteromerization of Innexin gap junction proteins regulates epithelial tissue organization in Drosophila. Mayer, G., and Famulok, M.
High-throughput-compatible assay for glmS riboswitch metabolite dependence. Structure of an RNA polymerase II-RNA inhibitor complex elucidates transcription regulation by noncoding RNAs.